Shop online for 107 red-box plastic models at discounts up to 46%. 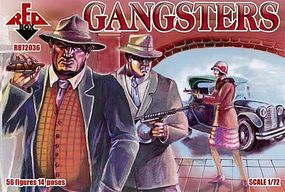 This is the 1/72 Scale Gangsters (56) from Red Box Figures. 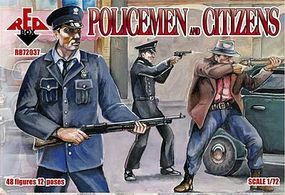 This is the 1/72 Scale Policemen & Citizens (48) from Red Box Figures. 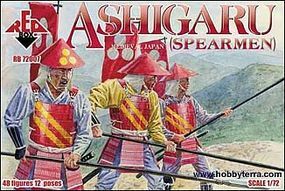 This is the 1/72 Scale Ashigaru Spearmen Medieval Japan (48) from Red Box Figures. 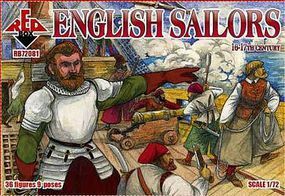 This is the 1/72 Scale English Sailors XVI-XVII Century Plastic Model Military Figures by Red Box Figures. 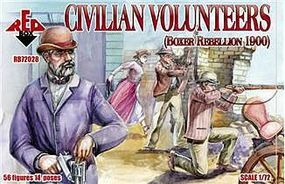 This is the 1/72 Scale Civilian Volunteers Boxer Rebellion 1900 (56) from Red Box Figures. 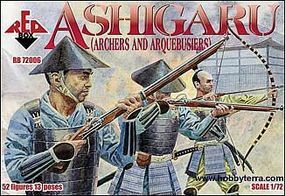 This is the 1/72 Scale Ashigaru Archers & Arquebusiers Medieval Japan (52) from Red Box Figures. 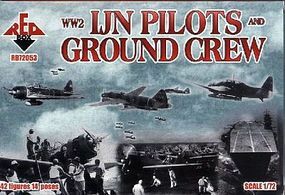 This is the 1/72 Scale WWII Japanese Navy Pilots & Crew from Red Box Figures. 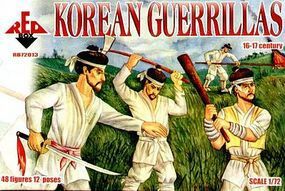 This is the 1/72 Scale Korean Guerillas XVI-XVII Century (48) from Red Box Figures. This is the 1/72 Scale English Sailors Artillery XVI-XVII Century Plastic Model Military Figures by Red Box Figures. This is the 1/72 Scale Jacobite Rebellion 1745- British Infantry (43) from Red Box Figures. This is the 1/72 Scale Roman Vinea Tank w/Battering Ram (2ea.) from Red Box Figures. This is the 1/72 Scale Picts Scotland Tribe from Roman Era (48) from Red Box Figures. This is the 1/72 Scale Sikhs Fighters Boxer Rebellion 1900 (48) from Red Box Figures. This is the 1/72 Scale German East Asia Brigade Boxer Rebellion 1900 (48) from Red Box Figures. This is the 1/72 Scale US Marines Boxer Rebellion 1900 (48) from Red Box Figures. This is the 1/72 Scale Jacobite Rebellion 1745- Highland Infantry (43) from Red Box Figures. This is the 1/72 Scale US Infantry Boxer Rebellion 1900 (48) from Red Box Figures. This is the 1/72 Scale Austrian Sailors Boxer Rebellion 1900 (48) from Red Box Figures.